Offering Genuine Ford ESP To Florida Residents! The State of Florida does a good job in protecting its consumers from unscrupulous warranty companies like the ones that are here today and gone tomorrow. As part of their protection they require a seller to become licensed. They also have criteria that the Provider of coverage must meet before the product can be offered for sale in Florida. 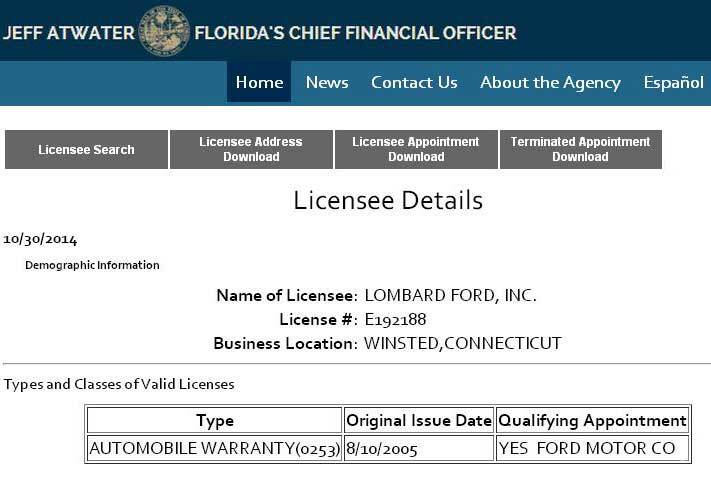 The Ford Motor Company, as the Provider of this genuine manufacturer backed extended warranty, has been approved and licensed for many decades to offer their products in the state. As the leading online Ford ESP selling dealer, we have also passed the scrutiny of the licensing process and have been approved to conduct the sale of Ford ESP to consumers residing in Florida. In Florida, you can purchase Ford ESP from any Florida licensed seller whenever you desire as long as the vehicle is still within the eligibility period. Don´t feel pressured into buying on the spot, do your research. If your local dealer does not offer the genuine Ford ESP coverage and is trying to push a non-Ford backed extended warranty, just say no. You have a choice! If you want to buy from the comfort of your home, after carefully deciding which level of protection is best for you, we´re just a phone call or a few mouse clicks away. We are glad to assist you in finding the right plan and best value for you. Are Florida residents restricted from purchasing online? Florida residents can purchase from any Ford dealer that is licensed to sell in Florida by the State of Florida, but coverage must purchased at the State published retail rates. We are licensed to sell in Florida (License #: E192188). You can look up our license here: www.myfloridacfo.com. If I am from Florida, but also have a home in another state, can I register my ESP there? Snowbirds, military personnel and others may have a home outside of Florida and can purchase a plan using their other address. My dealer is trying to sell me coverage from another company, can I buy from you? Do not let your dealer make you think that you do not have choices. You can purchase a Genuine Ford ESP from us. 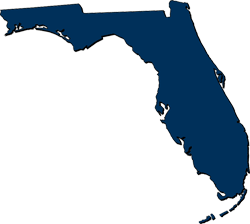 If I purchase coverage from you, will I have trouble using it in Florida? If you purchase a Ford ESP coverage from us, you will receive a contract based on the terms and conditions of Florida laws and regulations. You will have a protection plan that will be honored at any Ford or Lincoln dealership in the U.S. and Canada.